In a landmark discussion where traditional media meets social media, we find ourselves realizing just how much we have yet to learn and also define. This is indeed our time to influence how new media evolves and also how it affects who we are and how we communicate with one another. The final installment in this series with Kate Couric, anchor and managing editor of the CBS EVENING NEWS WITH KATIE COURIC, takes us away from the discussion of social media’s impact on news and journalism and turns the focus to directly on you and me. Everything we do and say online defines our digital persona, which also casts shadows in the real world. Here, two people simply discuss what they observe as human beings. From privacy to cyber-bullying to shaping online impressions, Katie and I bring to light the issues and opportunities facing parents, educators, children, peers, and who we are professionally. 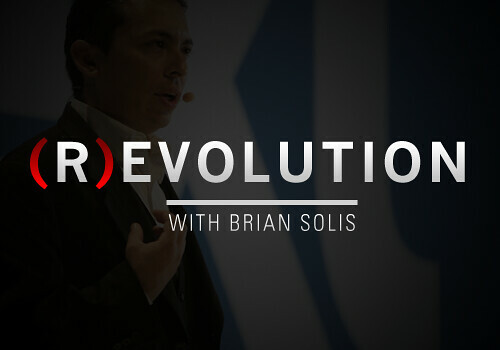 Welcome to the (R)evolution, a new series that connects you to the people, trends, and ideas defining the future of business, marketing, and media. Special thanks to Erica Anderson (@ericaamerica) who helped bring us all together.